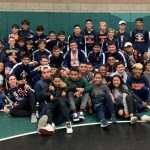 Coed Junior Varsity Wrestling, Coed Varsity Wrestling · Jan 23 Wrestling earns 5 Individual BIG VIII Titles at League finals! 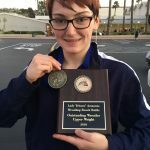 Coed Varsity Wrestling · Dec 29 Wrestling captures BlackWatch Tourney Title! 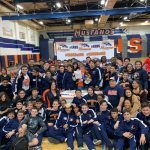 Coed Junior Varsity Wrestling, Coed Varsity Wrestling · Dec 20 Mustangs Varsity & JV Wrestling surfs over Santiago Sharks to Victory! 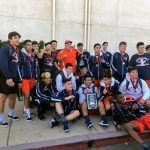 Coed Varsity Wrestling · Dec 17 Wrestling sweeps its way to 4th Tournament Title! 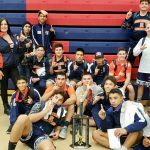 Coed Varsity Wrestling · Dec 9 Wrestling gets 3rd straight Tourney title! 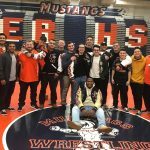 Coed Varsity Wrestling · Dec 5 Wrestling pounces Panthers 64-12 to open league, and Williams signs NLI!